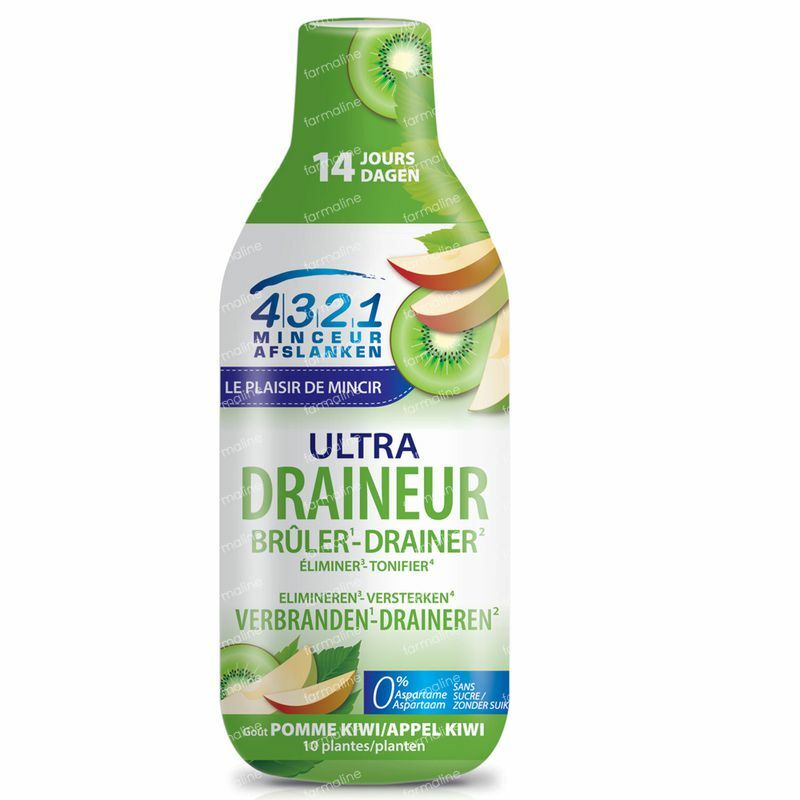 4321 Draineur Apple-Kiwi 2x280 ml 560 ml order online. This extract of carefully selected plants help you to maintain your figure and lose weight. Shake before use, only for grownups! 1 cap of 20ml added to a tall glass of water during 14 days. You may repeat this program multiple times a year: before summer holidays, after parties or little excessive moments of alcohol/food. 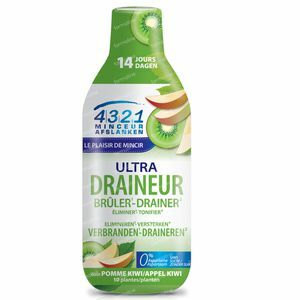 Do not exceed the daily recommended amount. A supplement is no replacement for a healthy lifestyle or balanced diet. Not suitable for pregnant women or breastfeeding women. Keep out of children's reach. Shake well before usage.